If you run an e-commerce business or depend on leads to generate revenue from your website, the forms on your site will make or break your business. If your lead generation forms are poorly designed, they become a roadblock and quickly turn customers away from your site. If you design your lead generation forms well, you can watch your conversion rates quickly skyrocket. This isn’t something you should leave to chance. Your inbound marketing and content marketing efforts will be wasted and you’ll waste time and money if your landing pages aren’t ready to convert the people you’re sending to your website. Let’s take a look at how your small business or startup can optimize lead generations forms to significantly improve conversions and increase sales. What is a conversion form? A conversion form, or lead generation form, is a set of text fields and labels that a company uses to gather information from its customers and prospective customers. Forms can be as complicated as a multipage survey with dozens of fields and options, or as simple as a single email address field. An effective lead generation form gets what it needs from the user and nothing more. If your lead generation form isn’t working well, it will impact all of your marketing campaigns. For example, many marketers and business owners are actively considering or experimenting with chatbot marketing. Some chatbots are designed to send high quality leads to your landing pages. But if your landing page lead generation forms are poorly designed, you’ll waste those valuable inbound leads. Across industries, the average landing page conversion rate was 2.35%, yet the top 25% are converting at 5.31% or higher. Ideally, you want to break into the top 10% — these are the landing pages with conversion rates of 11.45% or higher. How do you increase your website’s lead conversion rate? Let’s look in detail at each of the nine strategies. Smart business owners know that placing a conversion form above-the-fold brings about the most impressive results. Anything placed “above-the-fold” is considered the prime real estate of your website. That’s where engagement with your brand is the highest and longest lasting. Engaged time usually peaks above-the-fold. That means you’ll want to put the most important elements of your landing page – like your conversion form – as high up on your page as possible. And be sure that your business name and business logo are featured prominently in that above-the-fold space. It’s also helpful to place your form as close to your CTA (call-to-action) as possible. 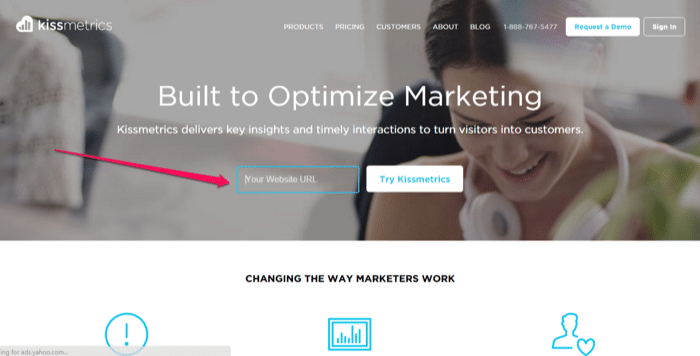 For example, KISSmetrics places its CTAs and conversion forms above-the-fold on their landing pages for the most impactful conversion rate optimization. If you want to learn more about optimizing website conversions, read 13 Proven Ways To Optimize Small Business Website Conversions and How to Create a High Converting Landing Page. If you’re going to make your customers fill out a form, make sure it’s obvious what they will get out of it. Whether your customers need a product, a service, or information, it’s vitally important that you offer a value proposition that meets that need. Your value proposition makes the benefit of completing the form clear. 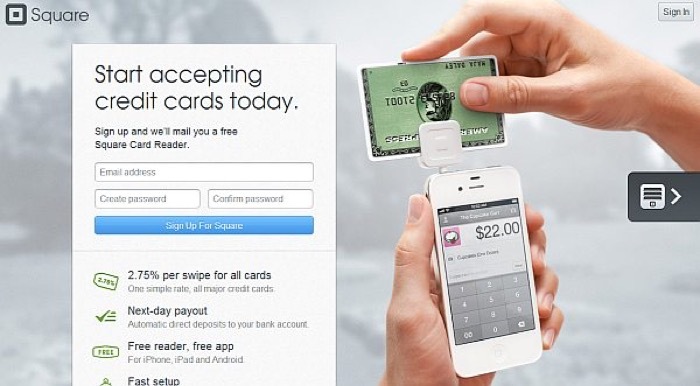 Square uses a clear value proposition to let potential customers know exactly what they’re signing up for. Don’t leave any room for uncertainty. Forms are a pain to complete, and if the customer isn’t sure what they’ll get out if it, they may balk. Contact form – Get in touch with us / We’re here to help! Contest form – Win a prize! / Enter our free giveaway! One rule many poorly designed forms break is they ask for too much information. Think about what your goals are for the form and ask for the bare minimum from your customers. For example, if you want customers to sign up for your email newsletter, don’t ask for their name or phone number. It might be great to have your customer’s name and email address in your mailing list, but there’s little benefit for them. Research shows that removing unnecessary form fields boosts completion. The company performed a comparison of an 11-field Contact Us form with a 4-field Contact Us form. They found contact form conversions increased 120% when the number of fields was reduced from 11 to 4 (a 64% decrease). Furthermore, the fields removed had no impact on the quality of the conversions. You don’t want to give your customer any reasons to change their mind. Get only what you need to complete the transaction and avoid that possibility. There are many ways to organize and lay out your form, but if you’re optimizing for completion (and asking for more than a single item of information), a single column is your best bet. Western customers read from left to right. This means you should keep your form labels (the text that describes what you’re asking for) and the form fields (where your customers type their response) aligned left. This makes it easy for customers to scan the form. It also helps increase completion rates and decreases the number of errors. If your goal is to increase conversions, give your customers a clear path. Avoid any distracting images or links that could pull attention away from the form itself. 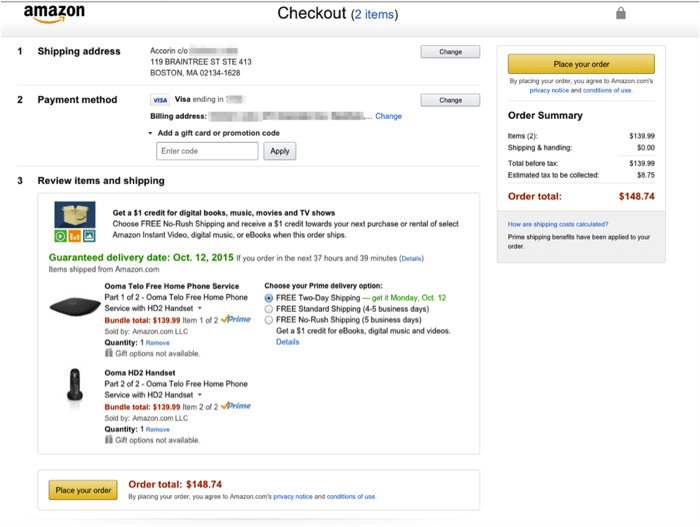 Amazon uses this best practice to significant effect on its checkout pages. A typical Amazon page has dozens of links to related products. This makes sense, as Amazon wants to give customers as many options as possible. But as soon as you enter the checkout process, all of the distracting links are stripped away, leaving just the checkout form itself. 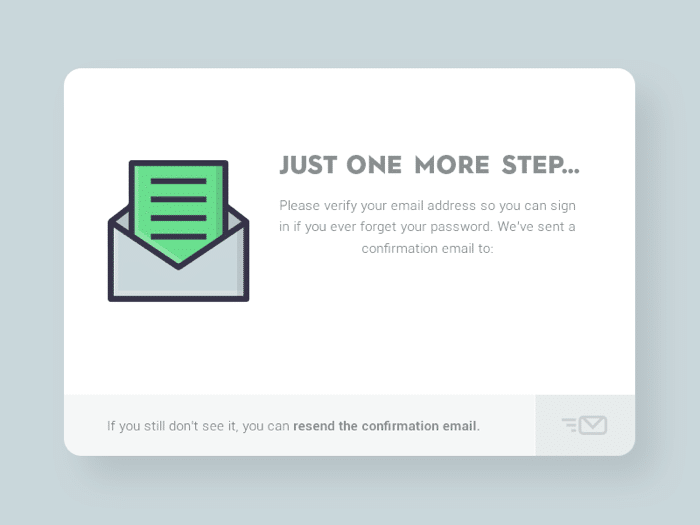 For forms that require one or two bits of information (like newsletter sign up forms) removing distractions isn’t as necessary, as you don’t need the customer’s attention for very long. For longer, more complex forms, consider a more sparse, distraction-free design to make sure customers don’t click away. A “call to action” (or CTA) is the single reason and driving force behind your landing page. Every landing page must have one single goal. This could be to subscribe to your newsletter, download your free e-book, sign up for your service, or purchase your product. But, you only get one. If you place more than one demand on your viewers they will feel conflicted and leave. The call to action is the moment when the proverbial rubber hits the road. It’s the simple act of requesting a prospect to act. And it provides the motivation prospects need to convert. Give your customers a clear indication of what value they are signing up for when they press that form submit button. This includes offering an incentive in the call to action as well. Treehouse’s subscription form’s CTA reminds customers that trials are free. If you communicate your offer’s value well and provide an interface that easily completes the call to action, you can bet that your conversion rates will soar. A completed form may be useless if the information in it isn’t accurate. Customers may give up if they complete and submit the form only to find that they have to go back and fix a mistake they made. Check information as it’s entered, so customers immediately know if they’ve made a mistake. This not only reduces the amount of invalid information in your system – it also lowers customer frustration. Reassure customers that what you’re offering is worth their time with testimonials and other social proof. Posting testimonials or reviews can be a great way of pulling word-of-mouth recommendations onto your site or social feed. Look on websites related to your business for reviews or testimonials. Bring them over to your site or social feed, and make sure to link back to the original review and/or identify the reviewer to help improve the post’s credibility. In addition to showing thousands of crowdspring reviews from our customers, crowdspring also adds real testimonials to forms, from people who have completed design projects with some of our talented creatives. FriendBuy found that adding some testimonial text right beside their signup form’s submit button boosted completion by 15%. One area many companies forget to pay attention to is what happens after the customer has completed the form. Take advantage of your “form sent” success page. Another great use for this page is to give customers their next step as well. Many e-commerce order submission pages display “customers that bought this also bought” recommendations. 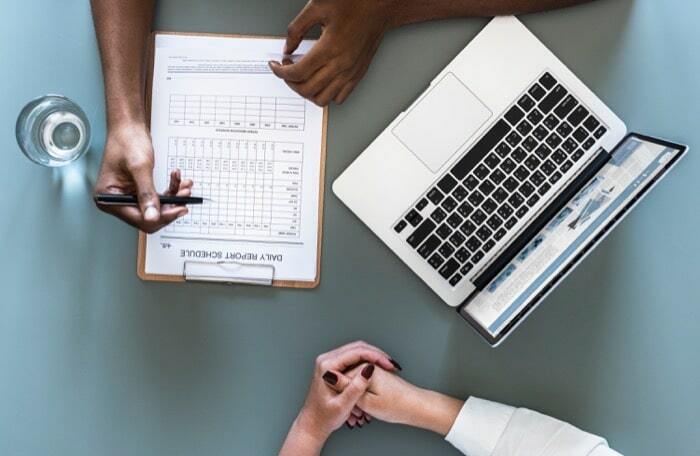 Customers may not jump at the chance to fill in a form, but there are many different ways to make the experience more painless. Lead generation forms can significantly increase the quantity and quality of your incoming leads. By following the strategies we outlined above, you can get better leads and improve your bottom line.